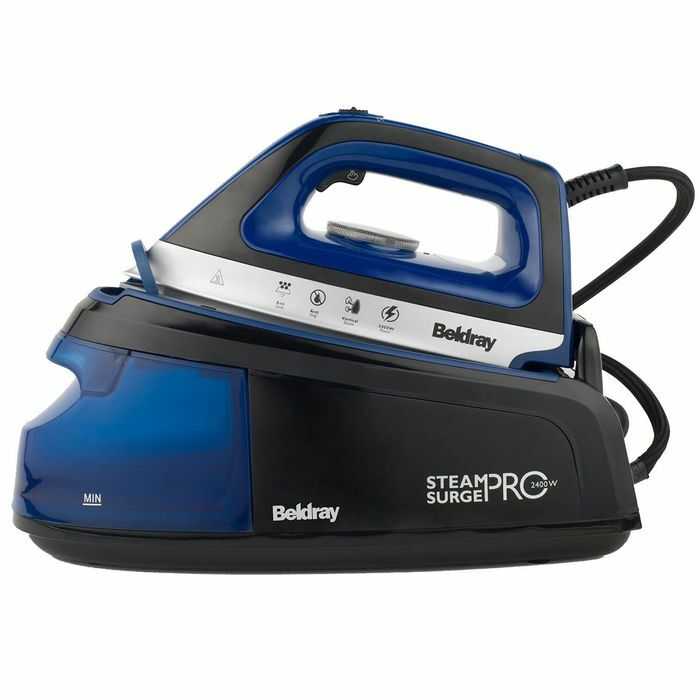 Eliminate even the toughest creases from any garment with the Beldray 1.2L Steam Surge Pro – Blue. With a convenient 2 metre long power cord, the iron is simple to maneuver and works on a range of materials from silk to cashmere. With a fantastic vertical ironing feature, this iron can be used like a steamer to remove creases from curtains or hanging garments. This powerful unit has 2400 W of power, giving you a smoother glide and super-fast heat up, so you can get to work straight away. The Steam Surge Pro has a detachable water tank that’s four times the size of a standard iron, so you can use the steam for long ironing sessions without pausing to fill up. 2400W – Offering a smoother glide and faster heat up. 2 meter power cord – So you can do your ironing wherever you need to.